Mulberry trees aren’t just great sources for delicious berries – they’re also good for feeding animals. Some varieties even make leaves that are a good cooked green for the table – but you’d have to ask my friend Josh Jamison at H.E.A.R.T. about that. He’s growing a wide variety and testing them for flavor. Quit living in fear. You are the gardener. You control the height of your trees! Of all the trees you can grow, mulberries are one of the easiest, most productive and most versatile. …and I’m sure there are many more uses I haven’t thought about yet. You can make tight hedges like these with other trees and shrubs as well. Good candidates include osage orange, moringa trees, cassias (great for planting in lines between row crops – compost and nitrogen-fixation! ), cassava… heck, you could do this with a big mix of species and just see what happens. Trees that start from cuttings, like willows, have even been used to make highly ornamental fences. Nature is resilient. Test her and see. How To Identify Cogongrass – the WORST Invasive Plant! Very good idea! I started a small mulberry tree hedge last winter, I’m very impatient to see what I’m going to get (morus alba, morus nigra, broussonetia papyrifera). I’ve been told that my BIG Morus Alba will give me tasteless fruits, so that I will have to graft it next year. 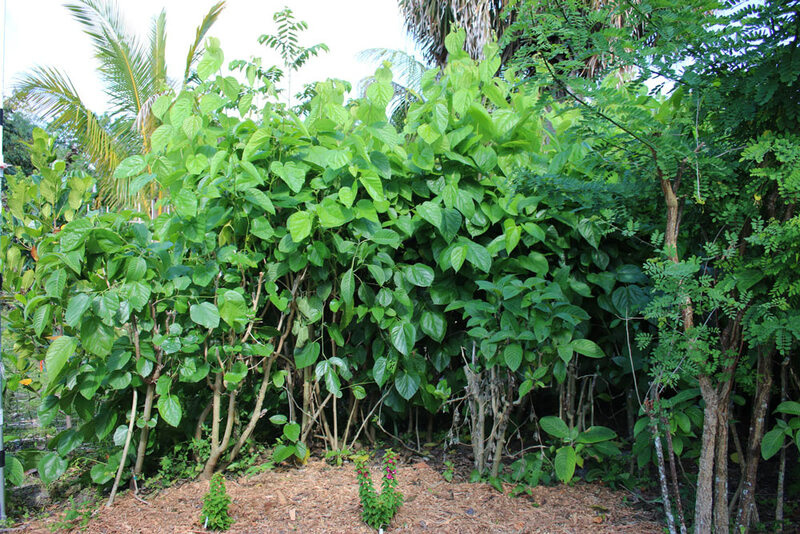 Be careful with those paper mulberries – they’re monsters and like to take over. I’ll bet you get good fruit from your M. alba. I’ve had some great white mulberries! If not, grafting is a good solution… but I’ll bet they’re fine. I’ve been thinking of adding these to my yard… just wish I knew someone I can go to and try them so I can better know what variety to chose from… we have about 6 black berry plants (Ouachita)… and the kids just love it… I’m sure a tree that produces something similar would be just that much more cooler. Every mulberry I’ve ever eaten has been at least as good as a blackberry – you’ll love them. See if you can hook up with a local permaculture Meetup group, or call a few local nurseries. It took me a while to hunt down the best mulberry varieties. Another option – check out Burnt Ridge Nursery. They have a good online selection and their trees have done well for me. Interesting hedge but how do you or your neighbor’s feel about any loss of sunlight into your yards? I try to be mindful about the “Ancient Right To Light”aka not removing sunlight from another persons property. I’ve started working on a hedge with mixed trees. I wouldn’t be able to use only mulberries, because deer eat the trees down to nubs. They ate all the leaves off my mulberry and then started eating the wood itself. It’s very frustrating. Fortunately, however, they don’t love all my plants that much. I’ve erected a deer barrier for the mulberry, and am hoping for it to recouperate. Never thought of using willow as a cross fencing. Really beautiful designs I never thought possible. Have to see which varieties grow in Florida 9b. Also like the idea of using the mulberries as a hedge. I was kind of intimidated by the potential growth some of these varieties possess. I appreciate the simple advice and knowledge that mulberries can really take a good pruning. Thank you. I currently have dwarf everbearing, black beauty, Shangri-La, silk hope, and regular everbearing varieties. Grew the first three from cuttings last summer and the last two are new cuttings am currently growing. All are doing fine even got fruit from the dwarf variety very tasty but small. They grow very fast. Am looking forward to possible applications on the farm as well quick fruit supply they provide. If anyone is ever in the Fellsmere, FL area will be glad to share in a year or so once they’ve had time to grow. Some nice varieties of cuttings can be found on ebay if you search although prices tend to be lower in summer and I’m told they root better then. Although I’ve found they root well pretty much any time unless is very cold. Anyway good luck to all. Hi Frank, We’re just 1.5 hours away but are somewhat new to the area and just starting a farm. We are looking for a versatile privacy screen/hedge that is native to central Florida (9b), requires little maintenance, along with a variety of benefits…and that is relatively inexpensive sinc we have 20 acres of property we’re trying to line. Would love to get your thoughts on this if and when you have time. Thank you! I can’t comment on Florida natives but for quick privacy Tithonia diversifolia (Mexican sunflower) and pigeon pea will give you about 8-10 feet in a year. Tithonia can be grown easily from cuttings great chop and drop fertilizer and bees love flowers. Pigeon peas nitrogen fixing, food, chop and drop, tinder, animal feet, etc. Cuttings for Tithonia can be found on ebay for about $1 each. Pigeon pea grow from seed also fairly easy to find online. Pigeon pea grows a lot faster and healthier when mulched. During the rainy season as Tithonia grows you can just take cuts of it and keep planting it down the line 3-4ft spacing should work ok.
Around the perimeter of my property I actually have Brazilian pepper trees that have grown there naturally. They are highly invasive though and birds spread them everywhere so be warned. I have also heard that people can be allergic to the sap and pollen although I have no problems with them. The bees absolutely love the flowers. They grow quick and can be used for chop and drop as well. Twenty acres is a huge area to be growing for a living perimeter. I’m on 5 acres and find it daunting at times. A lot of the plants/trees I try to grow can easily be propagated by cuttings and thrive with little care. That way I can make more cheaply and share with those who are interested. Most of my plants are young since I’ve only owned the property a couple of years but I am constantly adding more. Plus I want to verify that they actually work well in this area because you cannot always trust what you read. So I can advise you or help you to the best of my ability however limited/experienced that may be. Tithonia may be your safest bet and will work well as a privacy hedge but for such a large area you might want to mix it up a little trying different things. 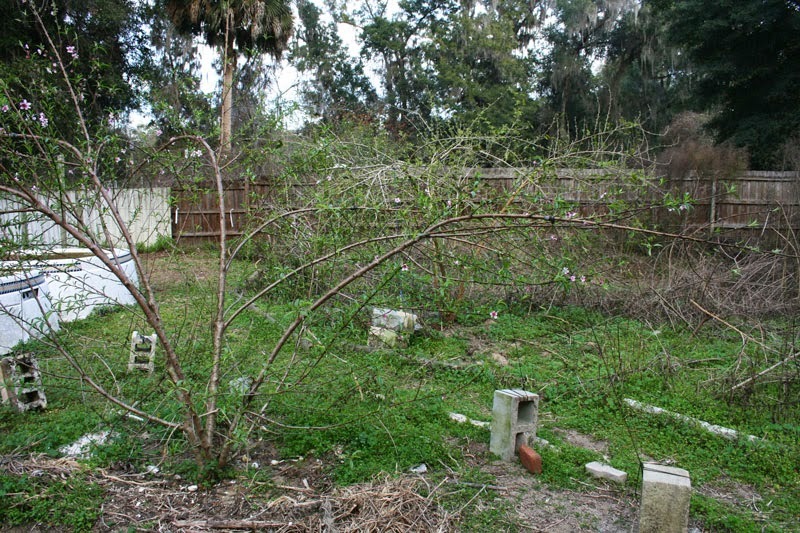 Add some fruit trees, dig a ditch and plant running bamboo on the other side. When all else fails ask David: he is the one who brought us all here in the first place. Anyway, enough babble. If you find it difficult getting plants/seeds/cuttings get in touch with me and I will help as best I can. I am always looking for people to trade with or learn from. Best of luck on the new farm. Funny thing is I was led here while searching for information on some new mulberry varieties I’m trying this Spring. Otherwise I never would have seen your post. Any suggestions on growing cuttings. I wish to create more trees, from my big tree, thank you. Why not grow a hedge variety like ‘ World’s Best’ ? Great variety and I love them so much. I have a nice vigorous hedge of ‘ World’s Best ‘ that in a couple months will produce large berries from the beginning of spring through to november. ‘ World’s Best ‘ is hands down the world’s best. May not make a good shade tree but makes a dense full hedge all the way to the ground. I can’t find any information on this variety – it’s a mulberry, I assume? It is a hedge or bush type mulberry. Large sweet fruits. Thank you. Where did you find it? I have had mine for many years now from a farmer in Homosassa. Not sure where he is now or if he is even still alive. I used to buy from him all the time back then. I am in the Inverness area if you ever want to stop and see them. I have several mulberry varieties and they are my favorite. I love the hedge idea but I too live in Inverness and my mulberries lose all leaves in winter…. Would love to see Bryce’s mulberry hedge!